The slightly grey London day did not seem to dampen anyone’s mood, in fact it made the perfect back drop for the christening photographs, making the colours everyone was wearing stand out brightly, with beautiful trees in the background. Jaspers infectious smile and bright blue eyes came across wonderfully behind the lens. On moving into the church, the choir sang, whilst the beautiful church surroundings were in gold and red tones that made a fabulous back drop for the guests yet again. Just before his christening we photographed Jasper trying to play with the priest’s face, which was such a sweet moment, including attempting to go for his glasses! Like all our christening photography the essence is to capture the ‘special’ moments and tell a story of the baptism event. We were sure to magnify in on precious significant parts, like Jaspers small hand, which we shot against an out of focus background. Also close ups of Jaspers face and how he reacted to each situation he was in. He was an excellently behaved baby and a pleasure to photograph along with his lovely family. 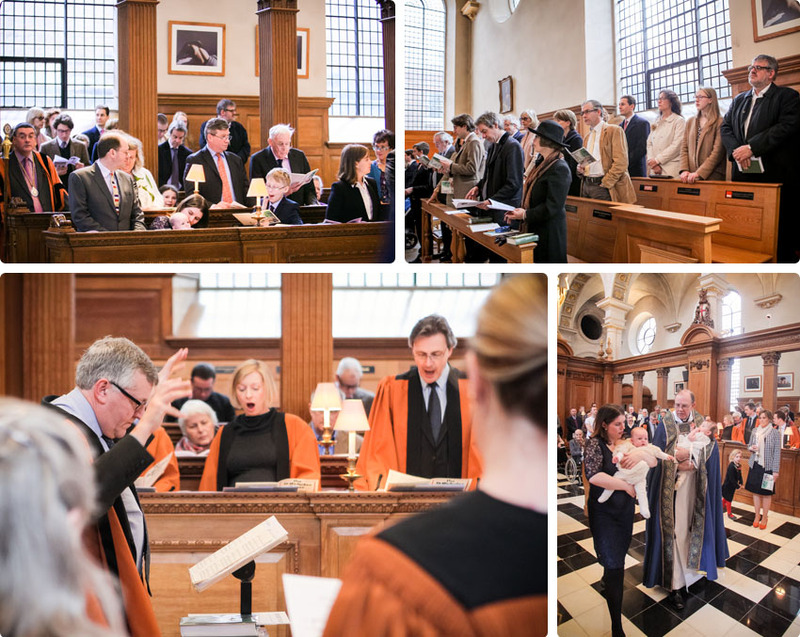 Special thanks also to the Rector David Meara for the wonderful ceremony and to Ms Claire Seaton. We wish Jasper and his family all the best for the future and thank them for giving us the opportunity to photograph his wonderful christening ceremony. Perfectly balanced, composed, timed, touched and designed as a christening photography blog. This is how it is done. Thank you for you kind words Laura. All the best!